Need more drawer space? 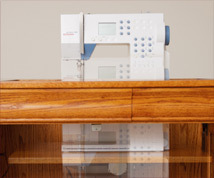 Choose the Double Pedestal Sewing Cabinet (Model 250). 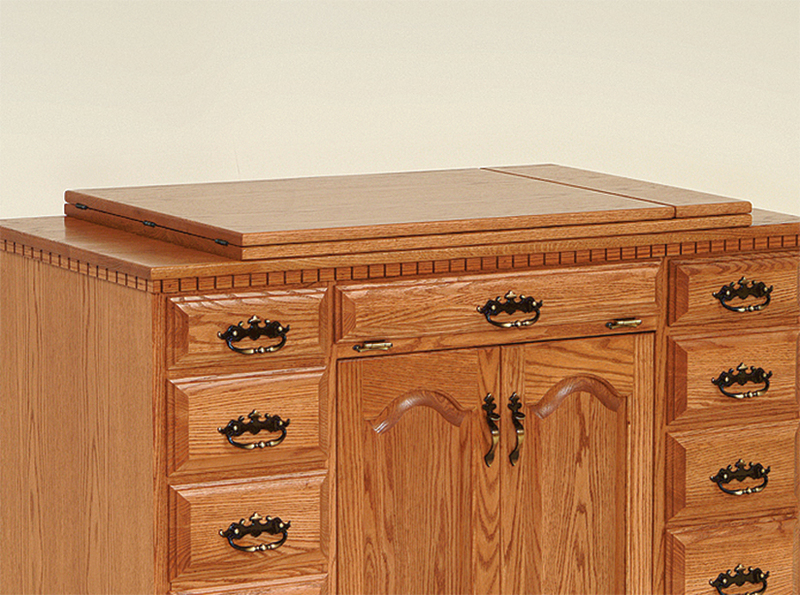 The Double Pedestal has double the sewing cabinet storage space than the Single Pedestal. The attractive drawers are approximately 7 ¾” wide by 18 ¼” long. 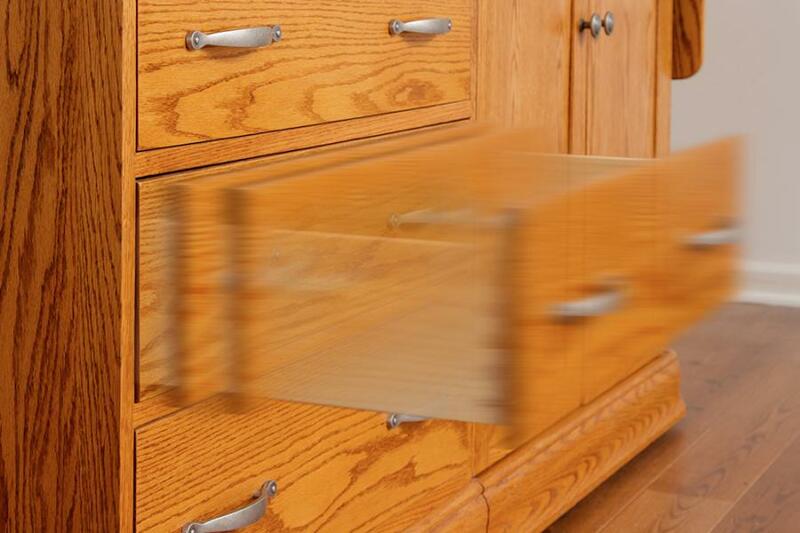 Drawer depths vary and can be customized. The bottom left hand side features an extra deep (12”) drawer. This may be the perfect spot for storing your patterns. 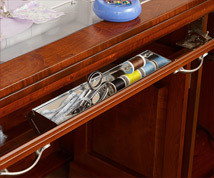 Our full extension drawer slides allow you to utilize drawer space all the way to the back. 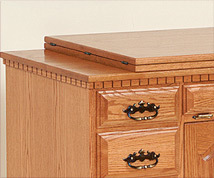 We build the drawers with the dovetail design. 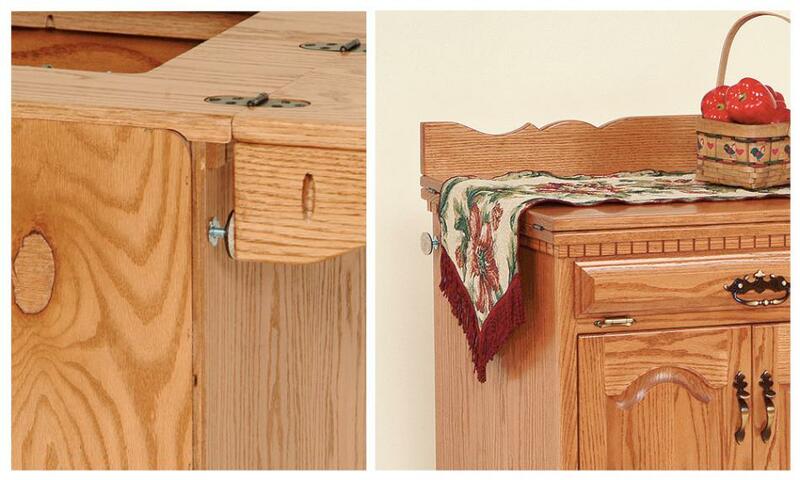 This interlocking joint ensures that the front of the drawer is firmly attached to the side. 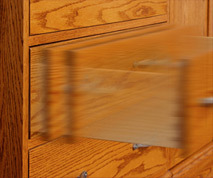 This creates a drawer that can withstand being open and closed countless times.[? This sewing storage cabinet has two wings each measuring 24 ½”. They extend out both sides to create a larger workspace than the Single Pedestal. 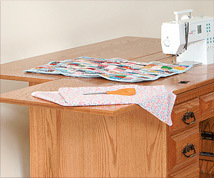 Choose the support top option so that the wings can hold more weight, giving you a sturdier sewing table. Gristmill can customize this sewing cupboard with drawers that are 4 inches wider than the ones pictured. Normally the Double Pedestal only holds machines up to 18” long, but we can customize it to fit larger machines. However, if you are a professional seamstress or serious sewing hobbyist, you may want to upgrade to one of our Sewing Centers. 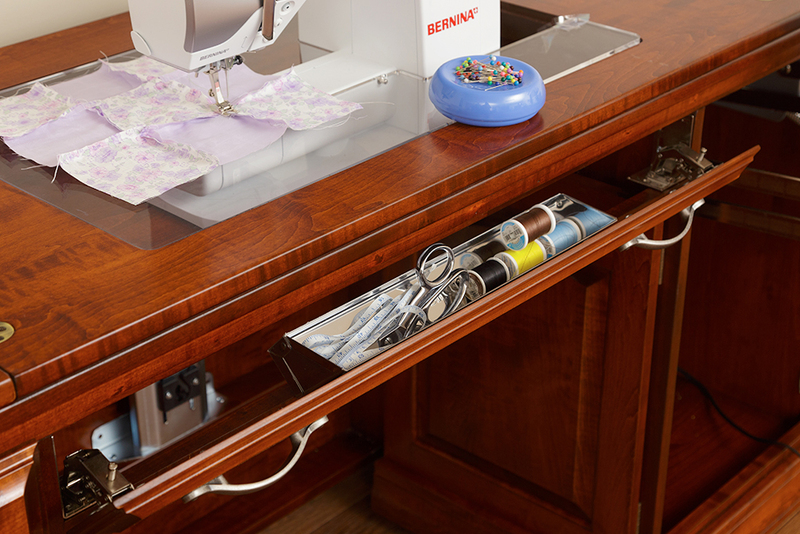 A sewing cabinet with airlift makes storing your sewing machine out of sight an easy task. 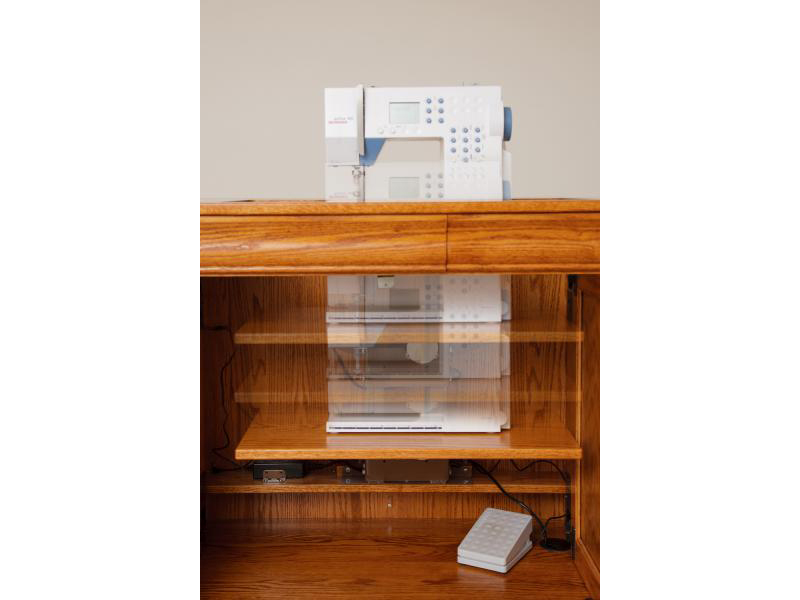 You can also raise the sewing machine to the height that works best for you. 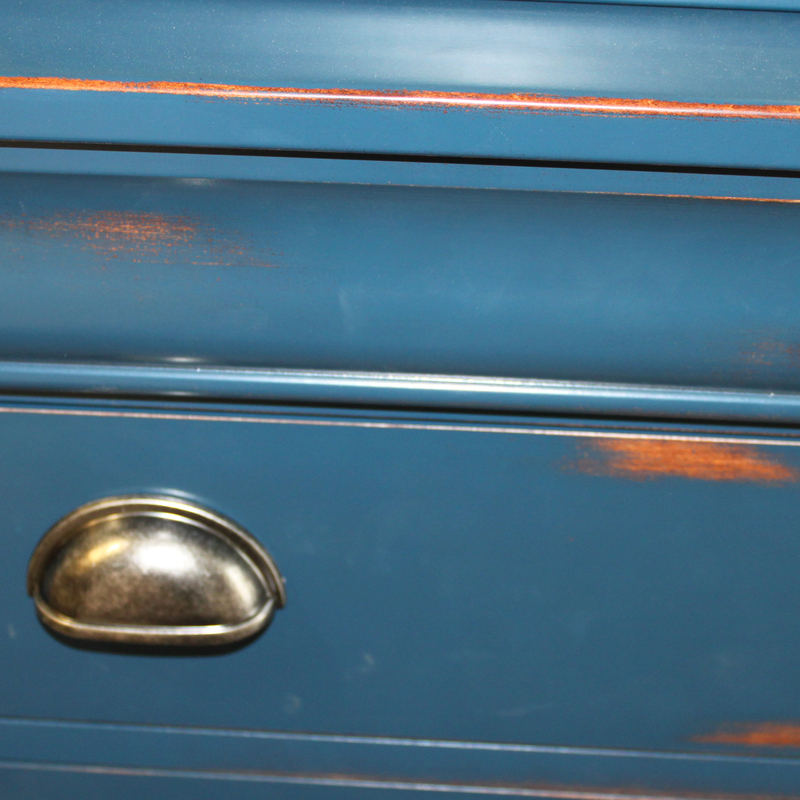 The doors covering the knee hole slide in along the sides of the cabinet. 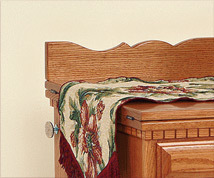 This keeps them tucked away and makes it easy to slide your sewing chair in and out while sewing. 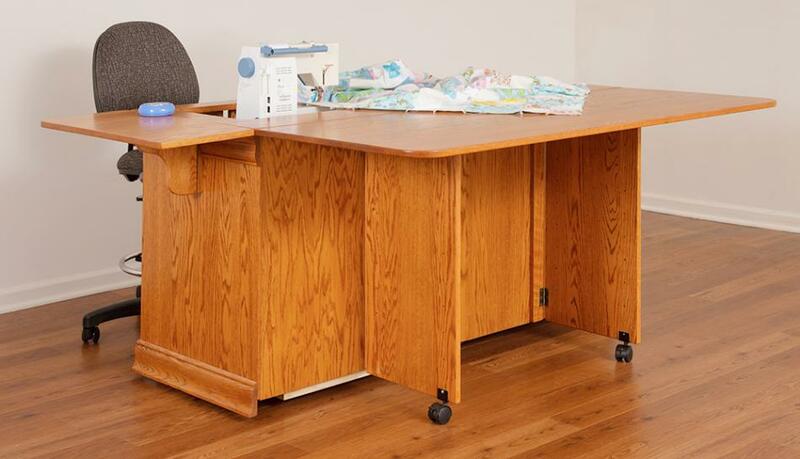 What more could you want than a Gristmill solid wood sewing cabinet? Click on the button below to get a quote! Double Pedestal in cherry with traditional style in a custom stain color. Color is similar to Washington Cherry.